Salmon Idaho area is a “GREAT PLACE TO PLAY” with a wonderland of outdoor adventures to please both the relaxing and extreme enthusiasts. Indoor activities from unique shopping, to art shows, to bowling, to just a relaxing evening at the movies can be enjoyed by the whole family! From relaxing activities to extreme outdoor adventures, Salmon Idaho and our many surrounding communities offer an abundance of seasonal activities. Salmon Idaho is nestled up against millions of acres of untouched wilderness. A stunning blend of valleys and wide open spaces; lush mountains and stunning mostly rocky mountains; free flowing rivers and mountain lakes; all boasting a nice array of wildlife wandering about. 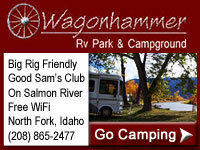 Click on links on left to discover more details on fun things to do and Where to Play in Salmon Idaho. We invite you to come see for yourself why In 2012 Outdoor Life rated Salmon Idaho #2 of The 35 Best Hunting & Fishing Towns in the US! 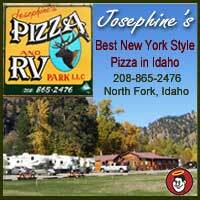 Where to Play in Salmon Idaho? With milliions of acres of surrounding land to choose from, the choices are endless!